Ollie Pope laid down a timely reminder of the credentials that earned him a Test debut against India last summer, as he converted his overnight century into a career-best 251 to cement Surrey’s control of the Champion County fixture at Abu Dhabi. By the close of the third day, however, their march to an apparently comfortable victory had been held up by a doughty response from MCC’s openers. 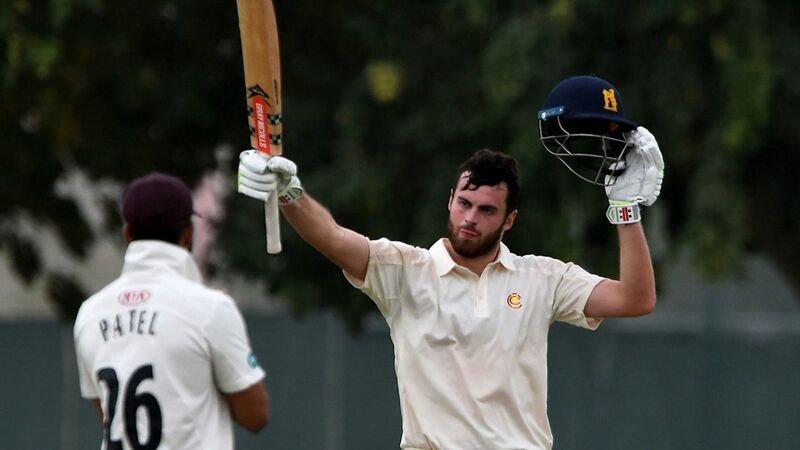 Faced with a deficit of 255, the Warwickshire duo of Will Rhodes and Dom Sibley added 190 for MCC’s first wicket to help reduce their side’s arrears to just 34 runs with nine wickets standing. Though Rhodes eventually fell for 88 – bowled by the legspin of Scott Borthwick – Sibley was unbeaten on 102 at the close, a telling display from a player who left Surrey under a cloud last season, having felt his opportunities for first-team cricket had been limited since becoming, in 2013, the second-youngest player after WG Grace to score a first-class double-century. He went to his hundred with 11 fours, and had faced 194 balls by the close, in compiling his fourth first-class century in five innings, after finishing the 2018 county season with a flurry of 106, 44, 144 not out and 119 for Warwickshire against Leicestershire, Sussex and Kent. Earlier, Surrey had tightened their grip on the contest by adding a further 131 runs to their overnight 389 for 4, to finish on an imposing 520. They lost one of their overnight centurions, Jamie Smith, for the addition of just four runs, but Pope – who resumed on 183 not out – did not miss out on the chance to convert to a mighty innings. In the midst of a sandstorm, Pope soon went past 200 for the first time in his career, then launched the spin of Dom Bess for consecutive sixes to reach his 250 in style. MCC did battle back with the ball, however. Pope holed out to mid-off against Rhodes’ medium pace to open up an end, whereupon Stephen Parry, the former England left-arm spinner, picked through the tail with three quick wickets.